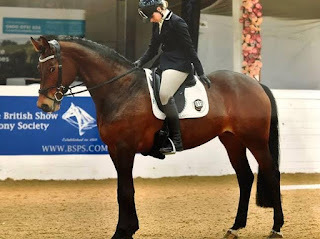 Solution Saddles Customer Stories: Chantelle and Moose regained their confidence Showjumping after trialling the SMART Eventer saddle. Chantelle and Moose regained their confidence Showjumping after trialling the SMART Eventer saddle. “Easy Girl Van Huise Ruesdael (Moose) was characteristically an enthusiastic jumper. When she started to hesitate into her fences, it was clear that she wasn’t happy and her rider, Chantelle, suspected that the problem might be saddle related. They tried out a SMART Eventer saddle on rental - and in just one session the difference was amazing. 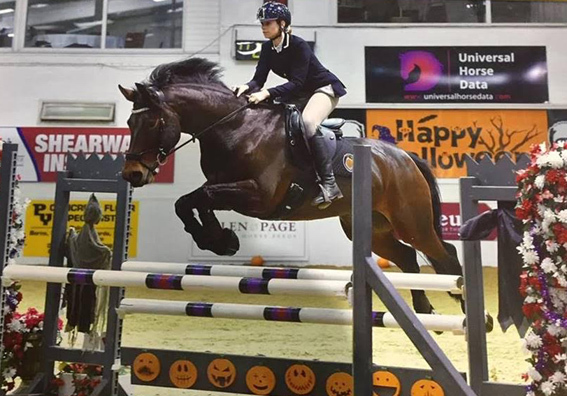 Moose regained her confidence and her jump and is now consistently placed in British Showjumping classes. Chantelle Johnson and Easy Girl Van Huise Ruesdael (aka Moose) in the SMART Eventer saddle. This is probably her best performance to date – placed second in a very well attended discovery class. Moose does not like dressage. However, the SMART Pro Dressage saddle gives her great freedom of movement. Chantelle lives in hope that Moose will choose to display that freedom in a controlled fashion in an actual Dressage test one day! The above video shows Chantalle and Moose being placed second in the British Novice class Showjumping, qualifying for the second rounds. Chantalle and Moose training video.